Cocktails and food, the perfect combination….. I may just have to make this on my new shiny BBQ. All we need now is some nice weather! Cocktails are one of my favorite inspirations for marinades – Margaritas, Pina Coladas, Bloody Marys, etc. 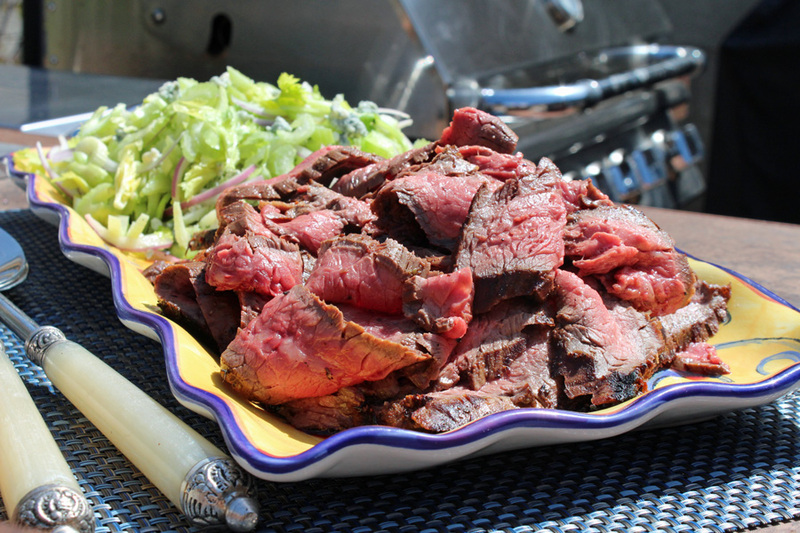 – and if you are going to marinade a cut of beef, then flank steak is the perfect cut. The loose grain of flank steak (also skirt steak and hanger steak) allow for marinades to really permeate the meat and add a lot of great flavor. The Bloody Mary with all of the add-ins like, Worcestershire sauce, horseradish, celery salt, and Tabasco pepper working in concert with the acid from the tomatoes makes an ideal marinade. Feel free to adjust to your liking… just like you would order in a bar! Also, check out my Celery Salad with Blue Cheese and Lemon Vinaigrette – because what’s a Bloody Mary without the celery?! I was testing a slow cooker at work and made this really lovely dish. It can also be cooked in a casserole dish in the oven, just reduce the cooking time down, and add a little more liquid as it will evaporate more. These look great, may have to give these a go. I was hoping to get this post up before St. Patricks Day but these days, getting certain things done on time isn’t always going to happen (I have been realizing more and more lately). So if you still want to celebrate or if you want a yummy new brownie recipe, I’ve got it. These brownies are quite scrumptious. My beautiful mama would make these occasionally for the family and it’s one of those special desserts as a child and now, as an adult, I have never forgotten. 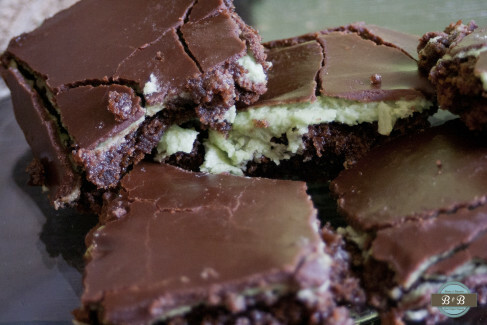 I love peppermint/ mint desserts or anything with mint ( I should say) so I love these ones! So will you too if you enjoy a nice fresh mint flavor. Here is the recipe, and enjoy!! Okay so these are not an everyday breakfast but my mate Ali loves this, I think it’s all the time she spends in NYC with work…. Lucky thing! I have this most amazing piece of kit called the Masha which does so much more than just mash potatoes, I used this to make these little beauties.